Electronic music lovers get ready to lock down your plans for Australia Day Weekend 2017 as Electric Gardens Festival announces its return to Centennial Park, Sydney Saturday 28 January! 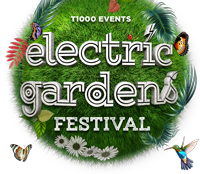 ELECTRIC GARDENS, the sold out boutique music festival that changed the way electronic music fans all over the country spent their Australia Day weekend is proud to announce their return to the lush surrounds of Sydney’s famous subtropical Centennial Parklands on SATURDAY JANUARY 28, 2017. Garnering rave reviews, ELECTRIC GARDENS delivered some of the biggest international dance music names (FATBOY SLIM / DUBFIRE / ERICK MORILLO / JAMES ZABIELA / JOHN DIGWEED / NICK WARREN / HERNAN CATTANEO) who have been lauded for their legendary performances and delivered extended DJ sets and unique B2B experiences from a line up of global stars.